Before you sit on the first train that goes to the edge of the nearest forest, stop for a minute, and think about what you might need to bring with you to your adventures. Who knows what difficulties you will encounter – like the lack of civilized toilets or no fast food restaurants 😢 – YOU NEED TO GET PREPARED! Yes, even if it’s just a 3-hour long comfortable walk in the forest. Here, we collected the most important items you need to think of before you make the decision to get active and just go hiking. All you need to do is print it, and tick off the things you have already taken care of. We saved you the trouble of creating a checklist, and you will make us happy if you use it. So, I guess it’s a win-win situation. Notice: This checklist is very basic and contains only the absolutely necessary things. If you are planning on going to a more-day hike or a 15-hour walk in the rainforest, you might need to upgrade the list (or write to us, and we’ll do that for you). 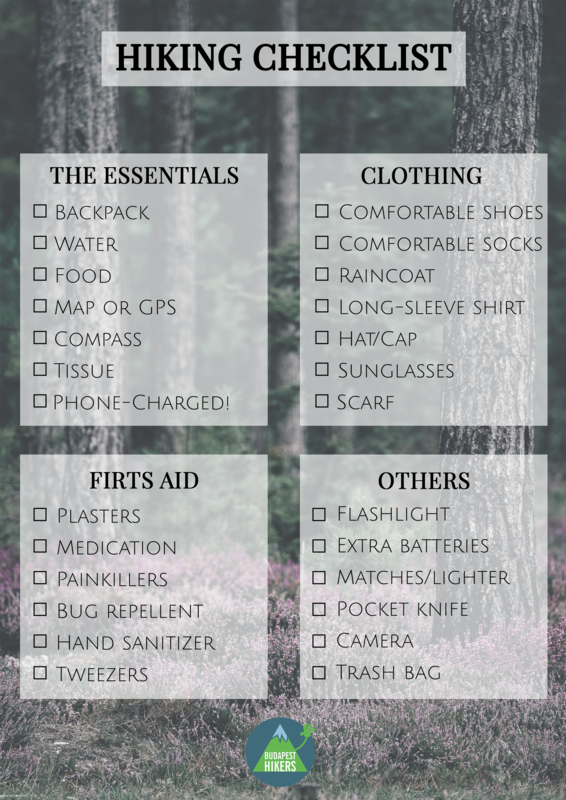 Click here to download the printable version of the Hiking Checklist.